Snow biking in Carbondale, Colorado for future Bike Farm mountain bike trips. 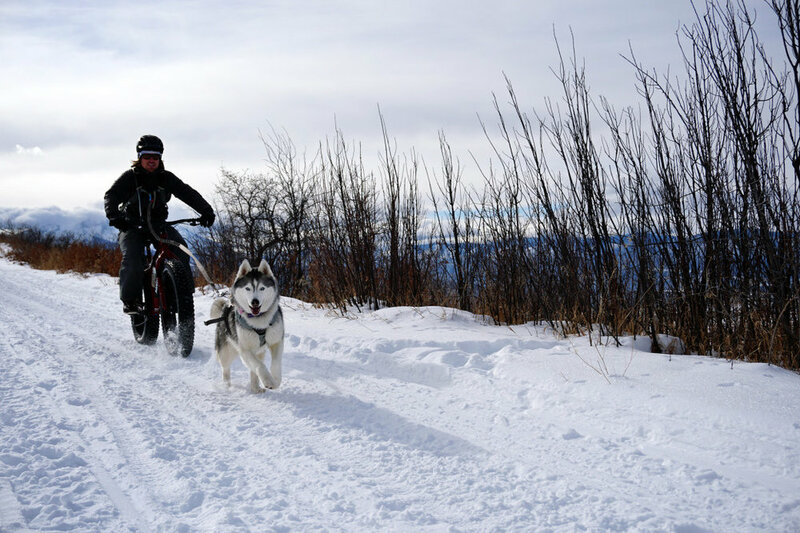 Smiling husky dog Maya snow biking in Carbondale, Colorado. Location scouting for destination adventures in the Rockies. Happy snow day in Pisgah National Forest!